Create a new mood with color. 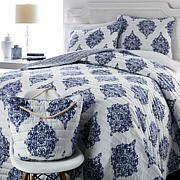 This simple quilt set helps you create a space that is the perfect springboard for your modern aesthetic. Layer on your taste with soft sheets and adorable decorative pillows, and enjoy living smartly with this set on the bed. Your style sets the tone, and it begins with color. 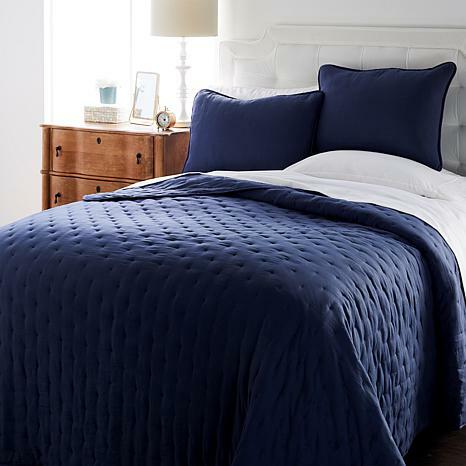 I love this quilt, it's pretty so it looks very nice - but the best thing about it is how lightweight, soft and fluffy feeling it is. Absolutely the right weight, not too heavy and not too light, I replaced my comforter with this quilt and will probably keep it on all year.Its been really cold here so I have a light blanket under it, but will be taking that out as soon as it gets a little warmer. Love it! !